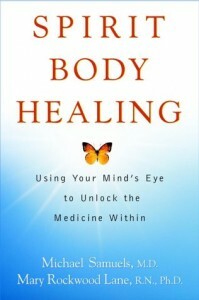 Spirit-Body Healing is based on a research study by Mary Rockwood Lane on how creativity heals. The research was conducted at Shands Hospital from 1992 to 1999 at The University of Florida for her Ph.D. Her study was sponsored and partially funded by the College of Medicine. She took detailed interviews of people who had been through life crises or healed themselves of life threatening illness and analyzed their stories to elucidate the themes and essences of how creativity healed. In the analysis of the interviews, she made a major discovery. Although she started out asking how art heals, she found out that the spirit heals. What people said over and over again was that they went to a place inside themselves where they actually experienced a shift of consciousness. This allowed them to see their whole life in a new way. When the shift in point of view occurred, the life healing began. Although the experiences were different for each person, the underlying themes were the same.. Each person went from a place of profound darkness, fear, or illness to a place where they experienced luminosity. After healing, they described feeling intensely alive and transformed. Each person described a transcendent way of being; their spirit became awakened, visible, and illuminated. After the person goes inwards, glimpses darkness and light, feels healing energy, they feel or see their spirit and feel or see their spirit heal them. The body feelings were concrete and were most often described as illumination or luminosity. In the study, we called this experience illuminosity. Each person had a different experience of transcendence, but the experience of transcendence was a recognizable phenomenon that was the main feature of their physical and psychological healing. The study elucidated the process by which art heals and the process of how the spirit heals and became the basis for the book Spirit Body Healing. 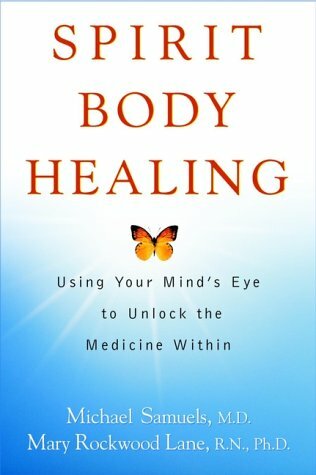 This book will teach anyone interested in art and healing about the steps that make up the process of art and healing. and have the strength to carry on when things become difficult. that show us and our loved ones how to create immediate changes in our live. Buy in on Amazon – Download the full version in PDF for free.